Steffon was signed as a free agent by the Lions in May of 2018. 2018: Steffon attended training camp with the Lions and showed well, exiting Kamloops with a spot on the club’s practice roster. He was elevated to the 46-man roster on July 19 and made his CFL debut the next day against the Ottawa RedBlacks, notching a pair of special teams tackles. 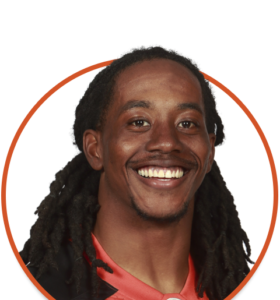 Steffon was released by the Leos on October 9 but the lanky defensive back signed a 2019 futures deal to remain with the organization. 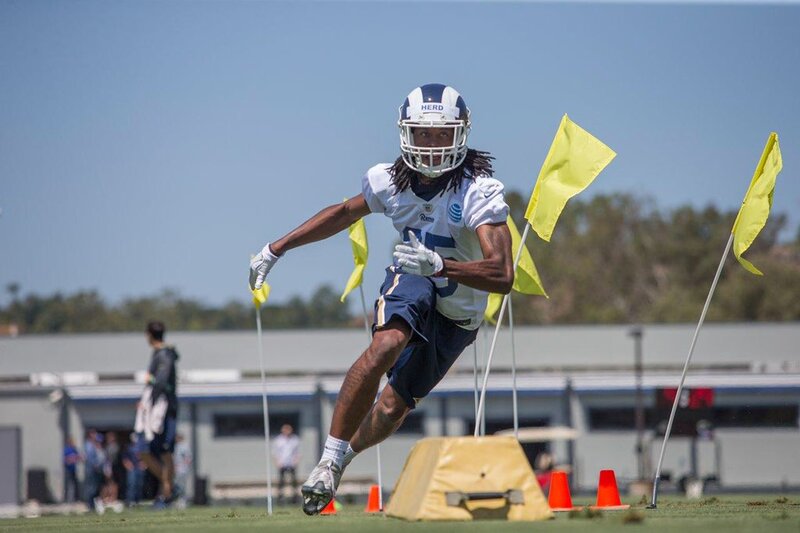 2017: Steffon attended rookie mini-camp with the Los Angeles Rams in May. 2012-2016: Steffon was recruited to play wide receiver at Northeastern State University and he registered 14 receptions for 217 yards as a freshman. Herd transitioned to defensive back as a sophomore and proceeded to tally 290 tackles, 13 tackles for a loss, five sacks and two interceptions with the RiverHawks. He topped 100 total tackles in his junior and senior seasons. Steffon was also named to the All-MIAA team in each of his final three campaigns with Northeastern State. Steffon worked hard on and off the field at Northeastern State University, exiting with a degree in Environmental Health and Safety Management. His most memorable football moment was getting an invitation on his birthday to attend the Los Angeles Rams mini-camp in 2017. He lists 300 and Friday as his favourite films. The person he admires most is his mom because she put the needs and wants of her children before her own. Steffon looks up to lanky defensive backs like Kam Chancellor and Richard Sherman. When he isn’t playing football, you’ll most likely find Steffon fishing.